I was excited to look into the preschool type downloads for my youngest. Once I did that, I couldn't stop there, with the nearly 50,000 different downloads! This resource is only $25 a year, and worth every dollar! One of the first things I loved about CHSH-Teach.com was the home page and the calendar that had daily events and observances. I remember using a calendar like this for my older kids, and having their journal project for the day represent something that happened in history that day. These categories can then be searched according to grade level from Pre K through 12th grade. Another feature is that they can be browsed seasonally as well. As we hit Fall, this is a great feature to look up projects with leaves, pumpkins and apples. There are also some organizational and classroom helps for the teacher. From the Download Club home page you can search for categories, topics or key words. This has been incredibly helpful as we are doing school with other lessons and need to add more. We looked up the Sun as a go along and found a great printable to make a 3D sun. I also printed off a coloring page of the planets and a reading comprehension page. All of these just added to our program. Some of the downloads though are complete works in of themselves. For example, the Sky Observers Guide is 159 pages long and can be downloaded and then read from your PC. My focus started for preschool and I was quite impressed with what I found. My daughter is not quite 2 yet, but has a love of learning already and wants to do school daily with us. We started her out with her colors, and moved on to shapes. 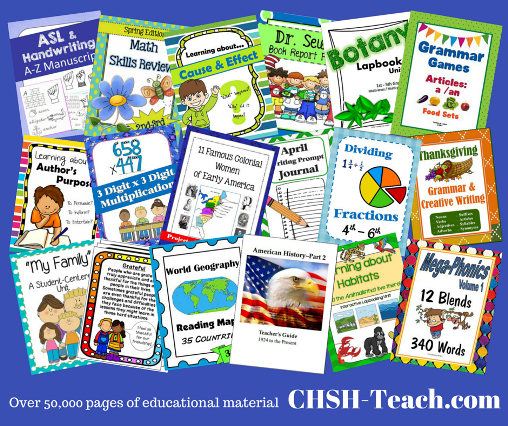 CHSH-Teach.com has individual pages to print, as well as shape books, color posters, and learning books for colors. For shapes we printed out Shape flashcards and a shape book. Some of the fine motor skill ones were a little beyond her just yet, but I imagine come spring she will be cutting out shapes as well. We also get to look forward to learning Time, Numbers, Alphabet, Fine Motor Skills, Rhyming and a favorite for sure to use this spring, Dr Seuss Resources. There is easily enough resources for a good solid PreK curriculum. There are topic added daily, and you will see those at the top of the page on the Download Club page as well. I feel like you could put together your own studies with many of these downloadables and just add some reading resources for a nice way to get started homeschooling. It is honestly hard to not download everything! I am a collector of information and I had to keep reminding myself that I don't have to refind this, that it is already all saved for me at CHSH-Teach.com. Just make sure you have plenty of printer ink! The only downside is many of them are in color, which for the PreK level I think is important to catch their attention. I would love to see more information on animals for the younger kids. We are going through the animals alphabetically and it would have been really fun to find something to go along with this. Since they are adding new items daily, I will keep checking back to see if by chance they do. 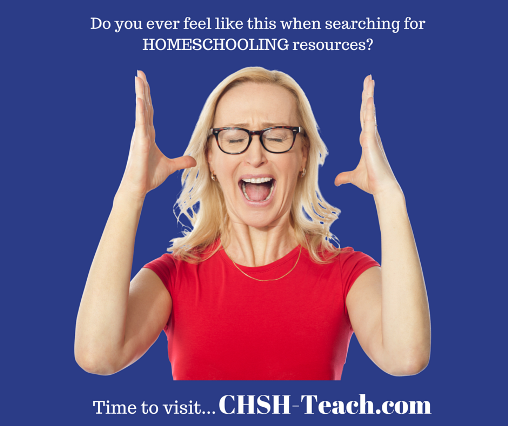 Find The Christian HomeSchool Hub on these social media sites.